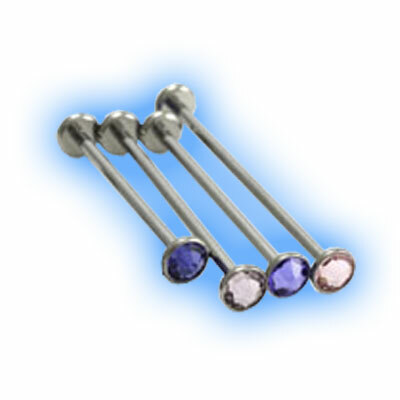 These 14 gauge barbells are very versatile and can be worn in many different piercings, they are made out of Grade 23 Titanium and internally threaded (which means that the discs have a thread which is screwed into the holes at either end of the barbell). Internally threaded jewellery is very popular because it is easy to fit in piercings and because the bar is smooth they are less likely to cause any irritation. The bar is 1.6mm (14 gauge) thick and available in lengths of 6mm to 40mm. 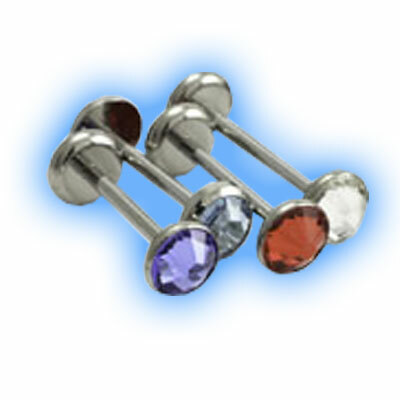 "I ordered a few different belly bars and they all arrived the next day which I was really pleased with. Great products, I will definitely shop here..."